3. According to scientists when did the first human beings were lived? Answer: About 2 million years ago. 4. When did scientists first discover evidence of prehistoric people? Answer: During the mid 1800’s. Answer: The theory of human evolution. 6. 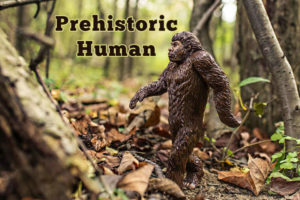 Which theory states that as the environment of the prehistoric world changed, the prehumen ancestors of prehistoric people underwent a series of changes that resulted in the first human being? 7. Which group of scientists study about what our ancestors looked like, how long they lived and what foods they ate? 8. Who search for and examine evidence to help to explain how prehistoric people lived? Answer: The remains of prehistoric plants that lived when prehistoric people lived. 10. Who studies about the rock in which fossils are found? 11. In which period the ancestors of human beings began to evolve separate from the ancestors of apes? Answer: Between about 10 million’ and 5 million years ago. 13. Which consists of human beings and early human like ancestors? Answer: The words in the Afar and Greek languages. 16. What is meant by Ardipithecus? 17. Where did Ardipithecus ramidus were lived? Answer: Ethiopia in North East Africa. 18. When did Ardipithecus ramidus were lived? Answer: About 4,400,000 years ago. 19. Which are the better known groups of early hominids? 20. When did Australopithecines were first appeared? Answer: About 4 million years ago. 22. According to fossil evidence Australopithecines were extinct in which period? Answer: Between 2 million and 1 million years ago. 23. What is the size of the brain of Australopithecines? Answer: About one-third the size of modern human brains. 25. The Australopithecines belonged to which genus? 26. What is the meaning of the term Australopithecus? 28. Scientists divided the Australopithecus genus into how many species? 29. Which are the basis of dividing genus into species? Answer: Differences in the creatures overall size, in the shape and size of their jaws and teeth and in the size of their brains. Answer: Australopithecus anamensis, Australopithecus afarensis, Australopithecus africanus, Paranthropus boisei and Paranthropus robustus.